The Chapora River and its mesmerizing beauty will fascinate you with its unique Goan simplicity. 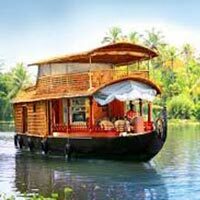 For the cruise you shall be occupying a rustic boat of quaint quality to give you the experience of a lifetime. On sailing a little ahead the beautiful synchronized in the pristine Goan waters will amaze you. We would suggest that to have an optimally satisfying experience and a breathtaking view, you should occupy the house boat’s upper deck.Personal expenses like tips, telephone calls, laundry, etc. The trip starts with a comfortable and easy transport from the hotel to the boat jetty in an air conditioned vehicle. Starting on the stimulating cruise with a soothing cup of warm tea or an invigorating coffee or maybe an interesting beer, leave the worrying to our well-trained staff and the modern safety facilities will keep you relaxed and safe to enjoy the cruise. The cruise starts from the Chapora port and as you sail along the shore, you can experience the Goan history dating back to the 16th century. Watching the Goa sunset cannot be better than from the sundeck of this quaintly amazing 4 bed room wooden houseboat. The beautiful evenings transcend to mesmerizing times with good wine or your choice of beverage in hand, dreamy music and fantastic scrumptious Goan food. There are indoor games in plenty on the deck to ensure an interesting evening for everyone. As you relax on the deck and experience the delectable unique Goan cuisine prepared specially by the on board chefs, the star studded skies of the night will steal your heart away. You can breathe in the enchanting beauty of the old exquisite churches, and the rustic farms and the indigenous Goa houses as you travel through the Chapora River. On sailing a little ahead you will be amazed by the beautiful and intriguing Dolphins. We would suggest that to have an optimally satisfying experience and a breathtaking view, you should occupy the house boat’s upper deck. This fabulous experience will haunt you for the rest of your life. During early mornings as the chirping birds wake you up to beautiful dawn; you can see firsthand the local fishermen spread their nets and scoop out their fishing bounty. You will be thrilled to see them dive into the sea to fetch shellfish and oysters. And not to miss the crocodiles will excite you in their natural element as they bask in the beautiful Goa sun at the banks. Let the chirping birds wake you up to a beautiful quiet and relaxed morning. 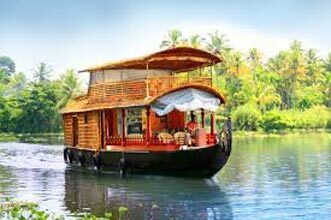 Progress to discover the enticing Goa backwaters. The splendid food, remarkable service and comfortable cabins make for this experience one of a lifetime. After the exploration of Goa backwaters, head back towards the boat jetty to be transported comfortably to the hotel in time for lunch. Pick & drop will only be provided from hotels in Calangute, Baga, Arpora, Nagoa, Candolim, Sinquerim and Nerul area. Transport required from other areas would incur extra charges.